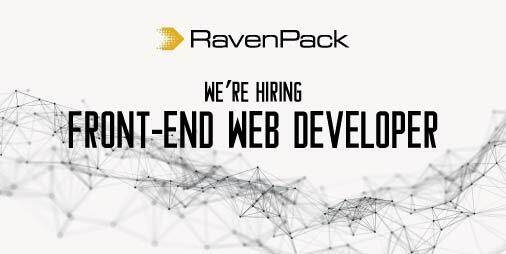 We are searching for a Front End Developer to join RavenPack’s Web Development Team. You will work as part of the Web Development team and you will be reporting directly to the Web Development team leader. You will interact with an international team of developers skilled in web technologies backed by Python, Java and Common Lisp. As a Front End Web developer, you will work in our web development and software design teams to deliver new products and internal web tools. Check all the tools in our stack on StackShare . The Front End developer will also be responsible for creating innovative solutions to web design issues to help make the website more visually appealing and enhance usability. You will be proficient in a growing, fast-paced environment with a premium on problem-solving. You will work successfully in a small team environment, with a willingness to teach and to learn.